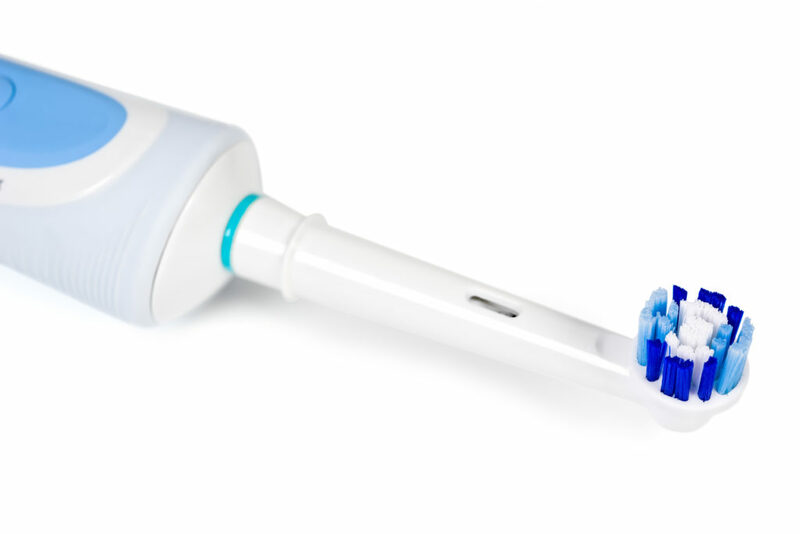 The electric toothbrush is a better option for your oral hygiene needs because it saves you time. The American Dental Association recommends that you brush for at least two minutes each session to properly clean your teeth. What should be noted, though, is this standard was set based on the assumption that patients would be using a manual toothbrush. Because the motorized bristles on an electric toothbrush can rotate from 6,000 to 30,000 times per minute, patients are able to clean more area in less time. Not only will the electric toothbrush save you time, but it will also provide you a way to know exactly how long you’ve been brushing your teeth using a built-in timer. Another perk of the electric toothbrush is that it’s easier to use. If you have limited mobility, it’s especially helpful. That’s because the rotating bristles make it easier to get into the harder-to-reach areas. As bacteria are allowed to accumulate in your mouth, they can eventually form plaque, a sticky substance that clings to your teeth and causes decay. The active bristles on the electric toothbrush provide for a more thorough cleaning experience, and they aid in removing the harmful plaque before it can seep beneath the gumline and cause gingivitis. Studies show that when people use an electric toothbrush, they tend to be more focused. This leads to a more beneficial experience and cleaner teeth. If you have children and want to encourage them to practice better oral hygiene, then an electric toothbrush is an excellent aid. Often, children are enticed by the motorized action, and they are more likely to be anticipatory of performing oral hygiene. Along with practicing consistent dental care, it’s best to visit your dentist semi-annually for preventive maintenance to fortify your efforts. While there, you can get expert tips from your dentist on how to improve your techniques so you can enjoy the best in oral health! Dr. Joy Todd earned her dental degree from the University of Kentucky, and she has since gone on to provide dental care for the past 15 years. She takes pride in educating and treating her patients as part of the comprehensive care she offers at Anderson Family Dental. Dr. Todd can be reached for more information through her website.